The Patriots will trade defensive end Chandler Jones to the Arizona Cardinals, according to ESPN’s Adam Schefter and Dianna Russini. 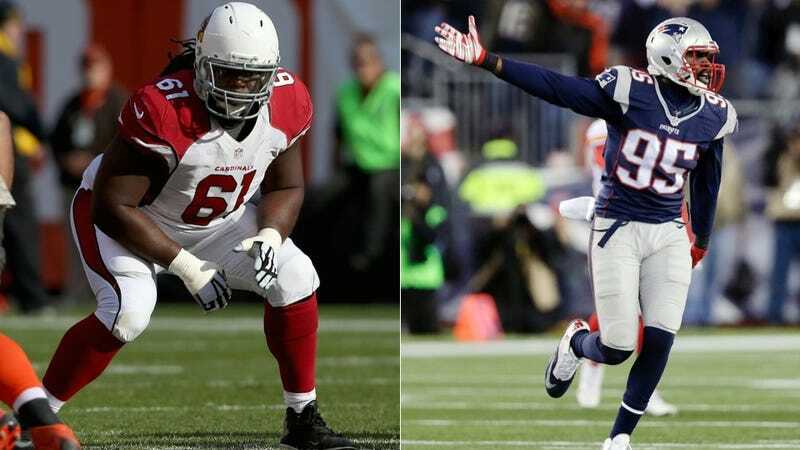 Arizona will give New England a second-round draft pick and offensive lineman Jonathan Cooper. Jones is in the last year of his contract and has a cap hit of $7.8 million. The Cardinals wanted a big pass rusher, and they acquired one without a long-term commitment. Cooper’s also in the final year of his contract, with a cap hit of $4.6 million. He started at right guard for Arizona last season until he missed time with a knee injury. New England wants to rework its offensive line, but the cap space breathing room will help with the upcoming draft. The Patriots, who don’t have a first-round pick this year after the league took it away as part of the punishment for Ballghazi, now have Arizona’s 61st overall pick, as well as their 60th overall pick.